I was going to stop taking so many photos of flowers, as I've stopped taking so many photos in general, but this common daylily is just so strikingly orange. It practically begs, "Take my picture!" So I did. This is lovely! 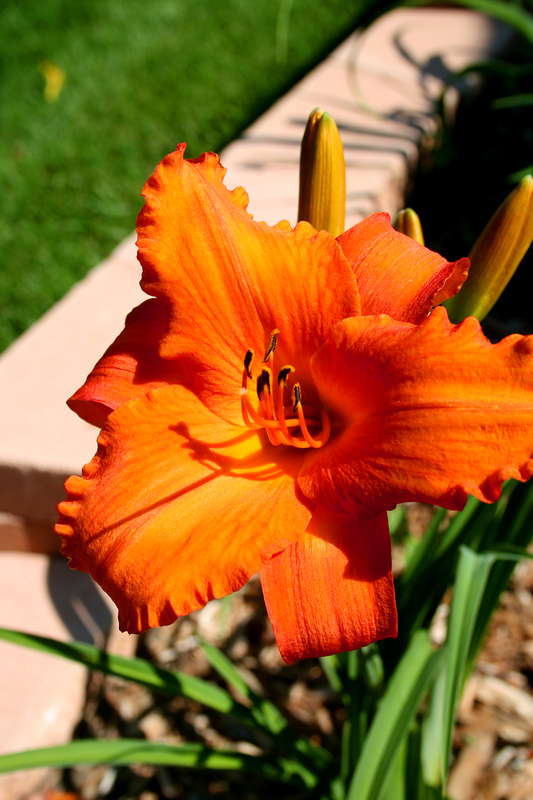 I just took a picture of one of the day lilies that has cropped up against my back fence (migrating from the neighbor’s side of it) but I know it didn’t capture the color this well.